Those people that buried the radio as a means of mass communication with the arrival of the Internet were wrong. Radio is still very present, and it now uses the global network to reach even more users. 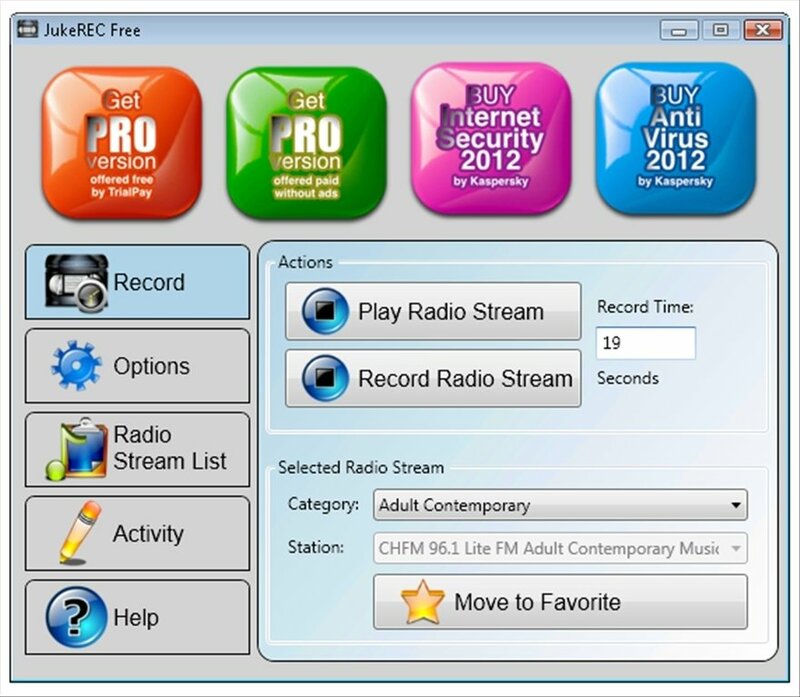 If you are one of those millions of users that listens to the radio via streaming you will like using JukeREC. 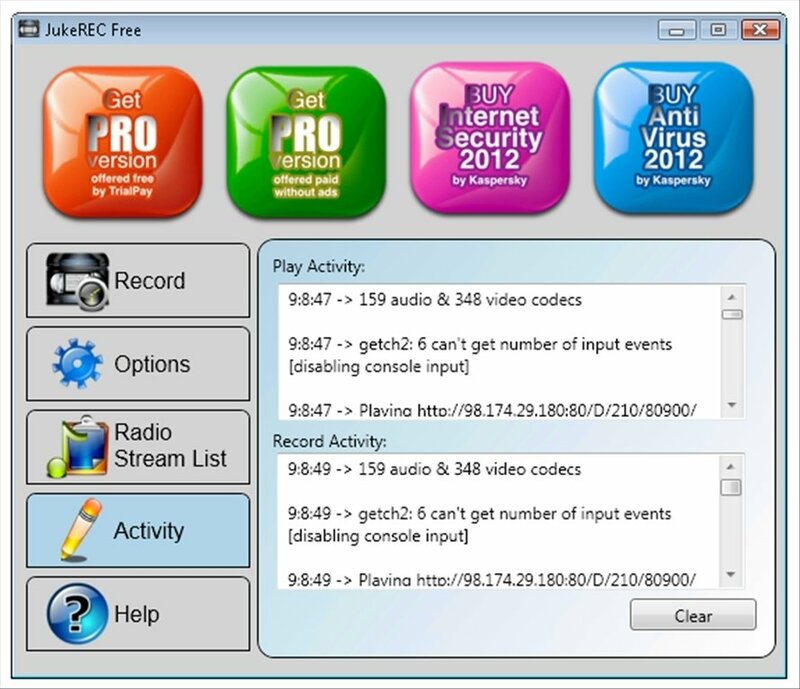 JukeREC is a complete recorder of Internet radio broadcasts that offers more than 2000 different broadcasts specialized in all kinds of music genres. 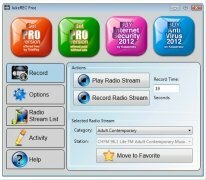 Find the music styles that you like most and record the broadcasts without any legal problems or violation of rights. Listen to 2000 radio broadcasts from all over the planet and record their broadcast legally. 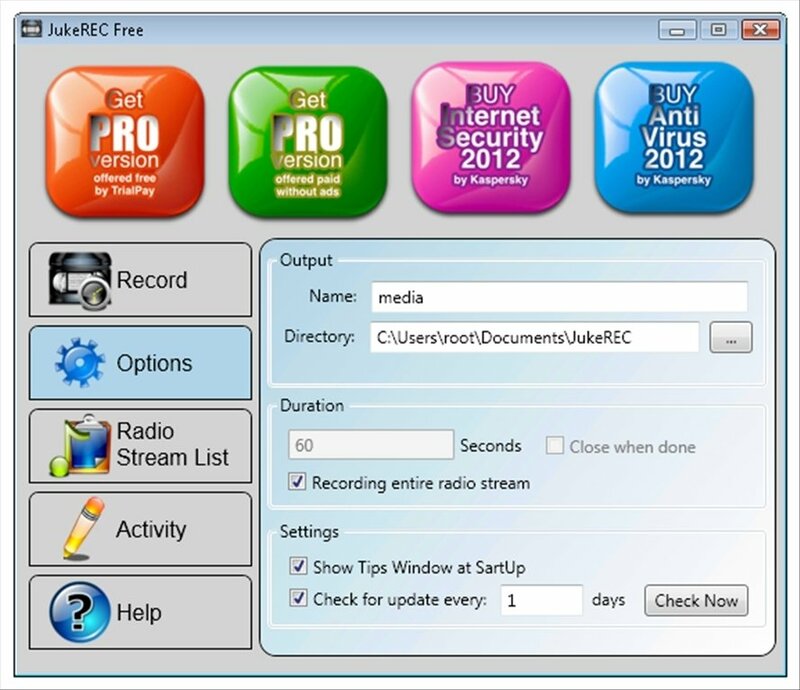 Listen and add your own radio broadcasts by inputting the URL in the software. Create your own list of favorite radio stations to easily locate them. Always have access to the latest configuration used after closing the software. Recording and listening to music via streaming has never been so easy. JukeREC has a clear interface. On the left hand side you can alternate between recordings, options, list of available broadcasts... All you have to do is select one, activate the playback and finally activate the recording of the signal once you have indicated the destination folder. You will obtain a quality recording, free of any legal burdens, with your favorite music, which you will be able to enjoy whenever you want. Download JukeREC for free.